Puvis's murals for the capital depicting the life of the patron saint of Paris were created between 1874 and 1879. The work is bordered with leafy garlands that lend a decorative quality to the work. Even more emphatically, near the ceiling of the Pantheon a riot of decorative elements, a great frieze of twenty-two haloed figures and a winged monster, hang above the mural. While one sees more shading here than in some of Puvis's later works (which grew flatter and flatter) the abundance of vertical elements (figures stand like columns) that seem to hold up the wall, unlike the diagonals that lead the eye into fictive space (i.e. one-point perspective) in the manner of Renaissance painting. This excited a generation of avant-garde artists, among them Picasso, who set about copying the whole mural immediately after arriving in Paris in 1900. One sees reverberations of it in the elongated figures of Picasso's blue period. These scenes were commissioned three years after the destruction caused by the Franco-Prussian War and the French Commune, a devastating period from 1870-71. Installed in the Pantheon, a former church turned civic building, these murals were an instant critical success that led to future commissions. Classicism (which had fallen out of favor after Napoleon) had re-entered the vocabulary of politics. Puvis's statuesque, draped figures celebrate the return of Classicism and the story of the founding of Paris. A symbol of new beginnings in the present as well as the past, a young Geneviève stands in the center panel of this triptych. Saint-Germain d'Auxerre, having arrived in Nanterre with Saint Loup de Troyes, notices she is bearing the divine seal. The fanciful decorative elements and clarity of form in this geometrically balanced work, coupled with its idealized references to the past, made it an instant success with officials and the public. Puvis's later works would build on this classicizing imagery, radically reducing and simplifying it, and expanding its associations to embrace universal symbolism. Under a grey sky, a fisherman stands at the prow of his boat, arms folded, as if in prayer. Behind him are a naked child and a mother gathering the sparse dandelions that grow on the shore. Whether the child will be fed or has already starved is unclear. One of Puvis's best-known works, this canvas displays a private mood rarely shown to us in his wall-sized paintings, and may offer us a glimpse of his personal psychology. It was developed over the course of several years through sketches and painted studies, and executed during a personally challenging time for the artist. 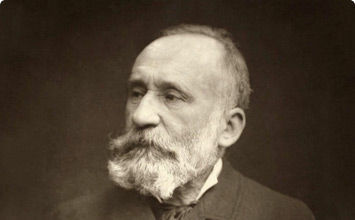 With the success of his first murals in Paris in 1878, Puvis was anxious over his future prospects and the amount of artistic freedom he would exercise. When showing this work at the Salon of 1881, Puvis indicated that he wanted the painting to be regarded in "human, natural terms," with no religious, mystical, or philosophical symbolism. Paintings of fishing had Christian overtones in European art, and Puvis's own oeuvre included such pictures (Miraculous Draught of Fishes and The Fisherman). Puvis's insistence that there was no such symbolism here allowed him to introduce an element of realism to the work, without losing the attention of an audience accustomed to viewing religious subjects. Puvis had reservations about showing this work at the Salon of 1881, since it departed considerably in both subject matter and style from earlier triumphs, and he turned out to be correct. Conservative critics slammed it, taking issue with the lack of traditional proportion and shading. However it won him the respect of a new group of admirers, including Georges Seurat and Paul Signac, who championed the work, making reference to it in later writing, with the former incorporating Puvis's painting into his Landscape with Puvis de Chavannes' Poor Fisherman, circa 1881. Maurice Denis, a founding member of the Nabis, specifically admired the work and in his publication "Definition of Neo-Traditionalism," Denis called for a new type of painting his writings. Interestingly, sculptor, printmaker, and sculptor-painter Aristide Maillol executed a direct copy of this work. Presented at the Salon des Artistes Francais of 1883, The Dream depicts a sleeping man - most likely a traveler, given the bag at his side. Three airborne women approach, one with roses suggesting Love, one with a laurel wreath denoting Glory, and a third distributing coins representing Fortune. Broad planes of muted color are interrupted by stylized details such as the branches that spring from the earth. Unlike his mural cycles, made for public consumption, it is a private, non-literary, self-contained image that describes a dream. Like the two-faced Roman god Janus, Puvis's work looks backwards and forwards at the same time. The Dream typifies this tendency. In privileging symbolism and fantasy over naturalism and reality, it recalls Romantic painting. In giving free reign to the imagination, it anticipates the wilder fantasies of the next generation. Compare this, for example, to the Sleeping Gypsy by the eccentric, self-taught Henri Rousseau, which might be seen as a reprise of this composition in reverse. Puvis actively championed and supported the next generation of younger and more radical artists who shared his desire to escape the realities of modern, industrialized society through dreams, esoteric symbolism, or mythology. They in turn were inspired by him. Puvis's effect on younger artists seeking an alternative to Realism, on the one hand, and the academy, on the other, went far beyond his efforts as a muralist. 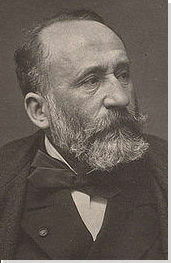 In 1886, Puvis received a watershed commission from the Sorbonne's architect Henri Paul Nénot. Nénot requested a hemicycle mural in the university's main amphitheater celebrating the secularization of schools in Paris, and depicting the breadth of disciplines in the modern curriculum. Nénot wanted a single outdoor composition recalling Raphael's School of Athens, with the humanistic disciplines on the opposing side of the theoretical and applied sciences. The central figure, a secular Madonna, the "Virgin of Science" refers to the laicization of the educational system. Two figures on either side of her lend a grounded, human aspect to the composition amidst references to abstract concepts. History appears as a figure landing upon archaeological ruins, emphasizing the importance of material evidence and analysis in a contemporary approach to studying the past. Here Puvis used mural painting as a means of communicating ideals in a highly visible, central location that hosted public speeches and performances. In August 1889, the French President Sadi Carnot inaugurated the amphitheater in the company of dignitaries and various emissaries from universities abroad. The mural was unveiled two days later, an occasion during which Puvis received the high honor of Commandeur de la Legion d'Honneur. Famously, student demonstrators attempted to destroy these murals in the major French riots of 1968, viewing them as a symbol of unyielding tradition in the contemporary French establishment. During the Paris Commune in 1871, the town hall (Hôtel de Ville) was burned down and the Third Republic was established. This mural, commissioned for the new town hall, functions as a seasonal allegory and a political statement. The work is marked by lush hues and a signature flatness - though the gradual size reduction of the background figures roughly follows the laws of perspective and dimension. What results is a distorted hierarchy of figures and a dream-like composition of a different era. Georges Seurat, Pablo Picasso, Paul Gauguin, and their contemporaries responded and integrated flatness and unnatural, simplified figures into their practices. What lacks in this sensual portrayal of summer, however, is a distinct narrative and objective among the idealized bathers. The presence of summer and water in the decorative scheme for the new town hall resonated with the citizens of Paris as a symbolic antidote for the bitter winter of 1870 under the Franco-Prussian war, and the real flames that had consumed the old town hall in 1871. Even in 1891, both events were still fresh in people's minds. In Puvis's choice to depict fantasy over recent segments in history, the intended audience is transported back to a classical, more peaceful time. By the late 1890s, thanks to an exhibition of Puvis's work in New York, the artist had begun to develop a robust following among American artists and collectors. In 1895, the Boston Public Library hired him to help them decorate the grand staircase and second-floor gallery of the majestic new building designed by Charles Follen McKim. As in his other large-scale public commissions, Puvis designed an allegorical scheme appropriate to the institution. The central panel, The Muses of Inspiration Hail the Spirit of Light, depicts the nine muses of Greek mythology in a grove of laurels and olives, receiving the Genius of Enlightenment. The title is an adaptation of Puvis's own written explanation of the piece, "The muses of inspiration hail the spirit, the harbinger of light". In another panel - Philosophy, Plato speaks with a disciple in an Athenian landscape, indicated by the Parthenon in the background. Poetry consists of three panels: Virgil visiting his beehives; Aeschylus and Prometheus, sitting on a cliff by the sea and chained to a rock, respectively; and a blind Homer receiving laurels from two female figures representing The Iliad and The Odyssey. The composition's mathematical divisions compliment the architecture. Puvis, who had never set foot in the library, worked closely with marble samples and architectural models in his studio in France to complete the eight stairway murals. These murals serve as a reminder that wisdom can be acquired only through study and introspection, a principle and work ethic that Puvis maintained throughout his life.